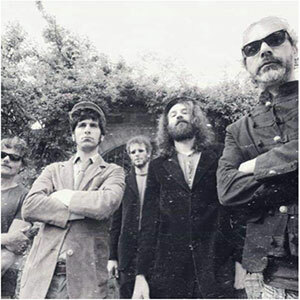 (The Trip Takers are an Italian band suspended in the limbo between the conservatism of vintage sounds and the genuine and sincere "revivalism". The result is a sound that is clearly recognizable from the point of view of conceptual influences but vividly peculiar at the same time. 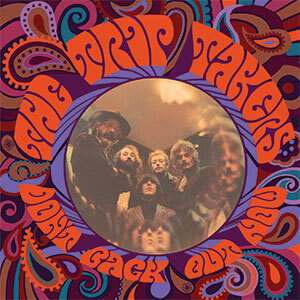 "The Trip Takers" project starts from the bases left in the mid-6os by Anglophone’s freakbeat and garage bands, to incorporate psychedelic atmospheres that expand the sound, making it addictive, thanks to vintage instruments on the front line. The equipment used and a recording technique deliberately far from the digital, but more inclined to the effects produced by the analogic, give a birth to a disc that, even if fresh and immediate, it's far from contemporary productions to create incredibly authentic vintage atmospheres. This creature is molded by personalities and influences at times heterogeneous to each other, which are well mixed with the common will to get out, from the current canonic sound, in an attempt to romantically preserve a retro style approach, purposely in a simple and genuine way. The first Extended-Play vinyl record named The Trip Takers" was published by "Area Pirata Records" in October of 2017 and it was favorably received by musical connoisseurs and specialized press; in the same phase they started a series of live shows in Italy and Germany. On 3oth of April 2018 was released the single "Jumper Blues" (Side b: Another One) and two weeks later the band was invited to play at prestigious "The Cavern Club", Liverpool, in the context of "International Pop Overthrow Festival"; such significant participation will be the beginning of a series of live appointments around Germany, France, Denmark and Luxembourg on first European Tour. In the same tour the band has entered to the "Voodoo Bug Studios" of Copenhagen for new tracks recording that will be out in the following year. On the way back to hometown they have organized a psychedelic event called "Garage Invasion vol.1" with others important DJ's belonging to European sixties scene. The last two months of 2018 was the period of new digital single release called "All I want" and the subsequent Iberian Tour including participation at "Purple Weekend", one of the most important garage/beat events in Europe. In January 2019, at Rec on Black Studio, they have recorded last tracks of the first LP "Don't back out now" out loth of April, so the group will be involved in a new European tour to promote new album. They'll be therefore headliner at the prestigious Garage Ville Festival in Hamburg. Produced by Giuseppe Mangano, The Trip Takers. Side A #1 "Don't back out now" lyrics by Bastian Trager. "The Trip Takers are an Italian band suspended in the limbo between the conservatism of vintage sounds and the genuine and sincere "revivalism". The result is a sound that is clearly recognizable from the point of view of conceptual influences but vividly peculiar at the same time".